Andie Shaw, PhD student writes……. Everyone says life is short and you only live once, but an article written by a girl my age, who had sadly recently lost her fight with cancer, really hit home for me. She wrote about making the most of every opportunity put in front of her and never saying no, because she wasn’t sure if such opportunities would present themselves again in her lifetime. I immediately remembered an email I had received that very morning about doing a sky dive in aid of the CBTRC. 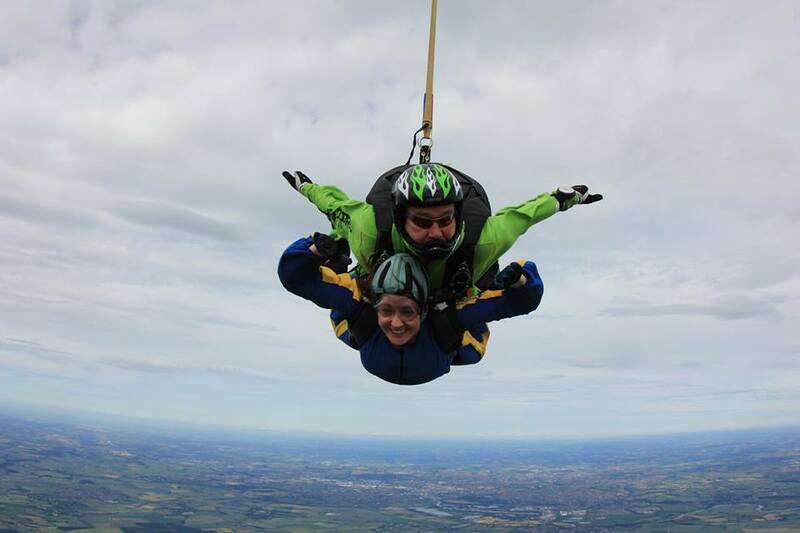 I had always wanted to do a skydive, but never been brave (or crazy) enough! I thought to myself what a great opportunity, which will also allow me to raise some money for an extremely worthwhile cause. So I had 3 minutes of courage, and signed up! 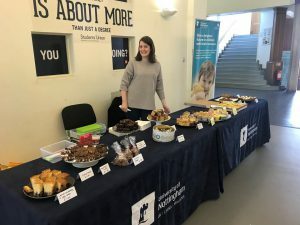 I teamed up with a few other jumpers and we held a cake sale in the students union, raising over £200. My dad held a cake sale at his work, emailing around his colleagues to ask for people to help bake and buy cakes. The turnout was amazing with baking donations ranging from cakes, biscuits and tarts, to homemade sausage rolls and samosas. They raised over £250, with his company making an additional donation of £75 boosting the total to £325 (Thank you to Atkins in Epsom, Surrey). My Nan and Grandad’s village (Caistor, Lincolnshire) have a ‘Walking for Health’ group who meet for regular coffee mornings. When it was my grandparent’s turn to host, they did so in aid of the CBTRC raising £100. On top of this, just sharing my story on social media generated more donations than I ever would have imagined. From friends and family, to people I didn’t know who just believed in the cause. 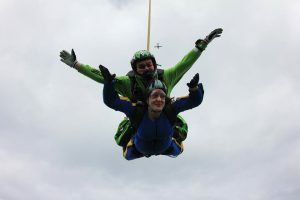 In total I raised over £1000, which led to me being the highest fundraiser for the Summer Solstice skydive – out of hundreds of jumpers across the UK! I couldn’t quite believe it, and felt almost guilty as it was so easy. I felt like I had hardly put any effort in to raising that amount! It is because of the amazing cause that everyone was so willing to help me and to donate such large amounts of money. It also helped that as I am a PhD student within the CBTRC, I could talk first-hand about the great things we do there. 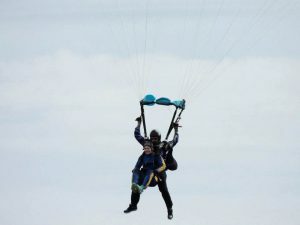 The skydive was amazing, and I would encourage anyone to give it a go! However, the more important outcome of this experience is the development of a ‘CBTRC Student Fundraising Group’. In the hope that other students can be as successful as I was at raising money for the CBTRC, we have set up a student led project within the students union. This is currently made up of a few CBTRC PhD students; however, we envisage students from any background and members of the public getting involved in helping us hold successful fundraising events in the near future. Anyone wanting to get involved or wanting to hold a fundraising event watch this space for us to go live on the student’s union website in a couple of weeks!